For Linux users who enjoy a fragmentation-free and virus-immune laptop, there’s barely anything that makes them whine as much as their Redmond-loving counterparts. Linux, on a fully compatible machine, achieves a perfect blend of performance and stability. That said, there are some of us who want more than perfection, they want optimum performance and a beast-like computing speed. I know, overclocking is a bit risky, but tweaking isn't. Earlier, we told you about the most amazing desktop-tweaking tools out there for Linux. 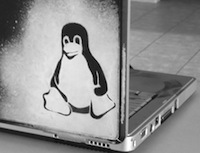 In today’s article, though, our focus will be on Linux laptop users. We've heard them whining about their empty batteries and their always-plugged workdays, and yeah, as always, we couldn't help doling out some useful advice to those folks. In most of the devices, including cellphones, the display is the biggest culprit when it comes to reduced battery life. A brightly lit laptop won’t really help you get through a whole workday. The best solution to this problem is to dim the screen as much as possible. If, in certain cases like movie-watching or reading you need a bright display, you can turn the brightness up for that period and them dim the screen back when you’re finished. It’s not just the display that hurts the battery, it’s also those CPU-hogging programs that make you reach out for the charger sooner than expected. That said, it’s not always easy for a user to spot that the CPU is under a load. It takes a real slowdown or freezing to realize that the program has become a mess and needs to be killed. 1. Take a look at the system monitor if you feel the slightest of difference in performance. From there, you can kill any misbehaving task. 2. Ubuntu users can install the System Load Indicator from a ppa, which, once installed, will let you take a look at the performance right from the indicator menu. To install, go to the terminal (Ctrl+Alt+T) and paste/type in the following commands. The computer’s power management scheme is one of the most important factors that decide the fate of your battery. In the power management settings window, always make sure you choose a balanced plan that helps you get through a whole workday without looking for an adapter. Another great way to take advantage of this setting is by making sure that the laptop goes into suspend mode as soon as the lid is closed. Though, it might not be a suitable setting for folks who are a tad impatient, it still is one of the most effective ways of saving battery life. To access the power management settings in Ubuntu, open the Dash (Super/Windows key) and type in the word “Power” without quotes. If, instead of shutting down your laptop, you put it on suspend mode, always make sure you’re connected to a charger. If not, then put the computer in hibernate mode and go for a nice nap. That way, neither would you lose any precious battery life nor would you lose your current work. Most of the battery loss also occurs due to overheating laptops. The overheating issue is something that affects a lot of laptops. To remedy that problem, simply use a laptop cooling pad, a simple accessory that saves your computer from overheating. It’s also a good idea to keep an eye on the temperature; to do that, simply install the system monitor indicator that comes with various temperature sensors. Finally, always remember to update your computer. The Linux kernel is continuously improving, and so are the distributions. In Ubuntu 12.04 for example, users will get to see an improved support for battery life. So, make sure you don’t ignore your computer when it badgers you to give it a big update. Nice post on Linux laptops. keep up the right and great work. i am using laptop of HP however some tips also implements on my Laptops battery also. Why not use conky for system monitoring? Quite easy: Reduce cpu frequency -- mostly you dont need that much. Reduce CPU Frequency and the bright in the monitor. Stop process that you don´t need. And you will have more battery!